Founded in 1919 by Henry Siegel, Sea Gull Lighting has long been dedicated to “the values of quality, continuity, and variety, while keeping an eye to the future.” It started as a boutique shop in Philadelphia, PA and quickly became one of the most widespread and sought-after lighting companies in the United States. Their continued popularity and success comes down to their dedication to quality, function, and modern living, which can be found in every one of their beautiful lighting fixtures. People continue to buy Sea Gull Lighting chandeliers and pendants for many reason. Here are just a few. While Sea Gull Lighting chandeliers are known for their stunning intricacy and Sea Gull Lighting pendants are known for their stripped-down beauty, each are also made with an understanding that they need to be energy efficient. Most of their fixtures are Energy Star approved and can easily work with the world’s most efficient lightbulbs. It makes owning one of these beautiful lighting fixtures even better, especially when the power bill comes around at the end of the month. Sea Gull Lighting has long had an eye to the designs that people love, modernizing their aesthetics with the changing times. But what makes their pieces so wonderful is that they always have a certain element that makes them distinctly a Sea Gull. You can see this aesthetic most notably in Sea Gull Lighting pendants, which are able to blend into almost any decor style while still standing out as incredible pieces. Sea Gull Lighting chandeliers have a similar quality of classic beauty, but in a way that commands attention, no matter the room they are in. One of the reasons that Sea Gull Lighting has enjoyed lasting, consistent popularity and success is because their products are built to last. Many of today’s lighting fixture designers use lower quality materials combined with fancy finishes to create pieces that look good but are far too fragile. Sea Gull Lighting creates pieces using high-quality materials the whole way through, so you can enjoy their pieces for years and decades to come. Whether you have Sea Gull Lighting chandeliers or Sea Gull Lighting pendants, you can be confident that each piece will last much longer than other, cheaper imitators. Sea Gull Lighting has been making quality lighting fixtures for nearly a century, combining classic design elements while always keeping an eye to the future. 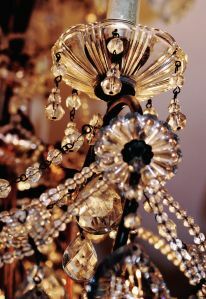 There is a piece in their line-up of lighting fixtures for almost every style and every home or office. Whether you want the commanding presence of Sea Gull Lighting chandeliers or the quiet sophistication of Sea Gull Lighting pendants, there is a piece for you—one that you are sure to enjoy for years to come. If you are looking for Sea Gull Lighting chandeliers or pendants, be sure to check them out at a reputable lighting fixture showroom or store. They can help you find the piece that’s right for you and ensure that it arrives in perfect condition.